Each year the Greater Hartford Arts Council runs a “United Arts” campaign—donors can make one gift that supports our entire arts, heritage and cultural community. United Arts dollars fund our range of grant programs and support more than 150 local organizations and artists every year. United Arts invites the community to take pART in everything the arts have to offer, from visiting one of our world-class organizations to see an exhibit, catch a play or concert, watch a performance or interact with local artists who call Greater Hartford home. The Arts Council runs workplace giving campaigns in 70 companies throughout our 34-town service area, encouraging employees to support the arts and flex their creative muscles through hands-on arts activities and events. 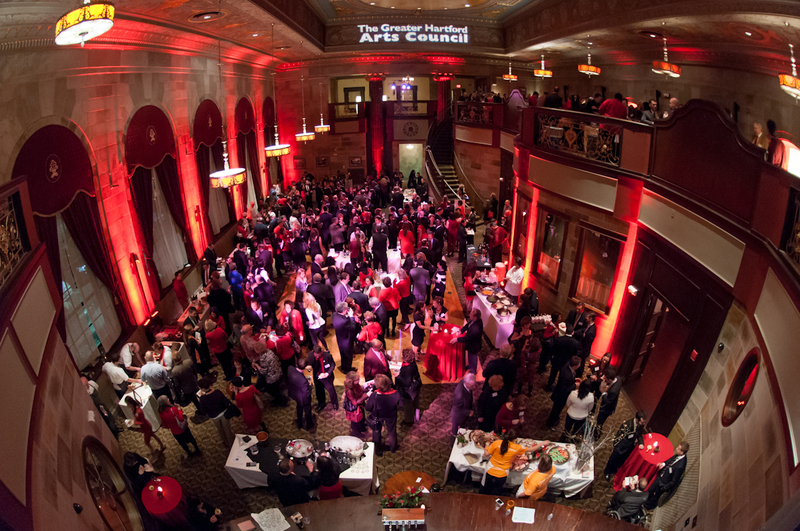 The campaign officially kicked-off on February 6 with Big Red for the Arts, our annual food & wine fundraising event. Featuring dishes from some of the best restaurants in Greater Hartford and wines and spirits from around the world, this year’s Big Red raised a record-breaking $65,000 to support the arts. Special thanks to presenting sponsor Rockville Bank for helping us kick-off our campaign in style! Calder’s Stegosaurus sculpture (see above) is the face of our campaign this year, both on our take pART brochure and featured as the 2013 thank-you gift to our $500 and up donors, designed by the amazing artists at local paper goods shop Hartford Prints! you’ll be hearing a lot of String Theorie—the featured musicians of our 2013 campaign—and donors who give $100 or more will receive a digital download featuring an exclusive live track. Stay tuned for more information about how you can take pART, both at your workplace and in the community! We look forward to an another amazing year of keeping the arts alive!